The North Carolina Housing Finance Agency (NCHFA)has just released new details on its conventional loan product. As a refresher or for those unfamiliar; NCHFA offers a 97% conventional loan, with a 2% down payment assistance, leaving only a 1% down payment required from the buyer. Rates available at this link. 18% Mortgage Insurance coverage required this is a reduced Mortgage insurance rate this can lead to a lower monthly payment . Down payment assistance is treated as second mortgage and is fully forgiven after 15 years. The balance is deducted 20% per year from years 11-15. Have you ever had a problem where a seller lacked the funds to do a required repair prior to closing? Even if you have never had this actually kill your sell, chances are you have encountered this situation in some variation and it made for some very stressful last minute maneuvering and delayed closings. An Escrow Holdback can save you these headaches and just might save your transaction one day. An escrow holdback is when funds (typically on the seller side) are held at close until all required repairs are complete. You might not have come across this before because the vast majority of lenders will not allow escrow holdbacks under any condition. The reason is that technically it's a violation of Fannie/Freddie & FHA guidelines to close on a piece of collateral that is not complete. So understandably 99% of lenders will refuse to take on this risk; essentially closing a loan that is incomplete in the hopes the seller will finish required repairs before they package the loan. Bottom line, it represents a huge liability to the lender. That being said, my company does allow escrow holdbacks in many situations and I've personally presided over transactions that would have ended in a sale fail if it were not for an escrow holdback. It's not something to be taken lightly and every attempt should be made to complete repairs prior to close. However in the real world, sometimes that's just not possible, and if the situation is right, we will approve an escrow holdback where most lenders would not even consider it. BTW buyers can often fund the escrow holdback with their own funds think REO property. 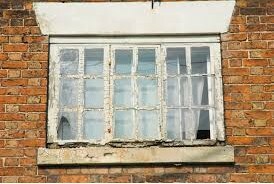 Example: say you have a buyer transaction where the seller has agreed to repair a rotten wood siding around the house and a broken window. For one reason or another, the day of closing arrives and the rotten wood and other repairs are still a week or more out. Also assume your buyer has given notice at their rental and will be homeless if the loan does not close in the next few days. Since we are all in the business of creating referable experiences we need a fix. This is a situation in which you could use an escrow holdback to save the day for you AND your client. Each escrow holdback needs to be approved on a case by case basis. That being said I can typically tell you very quickly if the situation you have would be eligible for an escrow holdback. Essentially what we are looking for is some type of assurance that repairs will be complete within two weeks or less after close. Of course it's often not possible to switch lenders at the last moment to a lender that allows escrow holdbacks. If the issue is identified early enough you could do so or just work with a lender who allows escrow hold backs from the beginning; so the next time you have a buyer and they want to buy a wonderful existing home. THINK ESCROW HOLDBACK MAY SAVE MY DAY and then think of me.